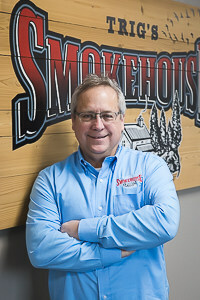 With 36 years in the meat industry, Mike knows a thing or two about providing fresh quality smoked meat. He joined the team in 2017 and enjoys creating new products, working with Smokehouse employees on a daily basis and maintaining relationships with different retailers and suppliers. Mike lives in Hazelhurst, WI with his wife Deborah. They have two children and four grandkids. His hobbies include working on his property building trails, gardening and landscaping. Jamie has been with the company for 24 years. 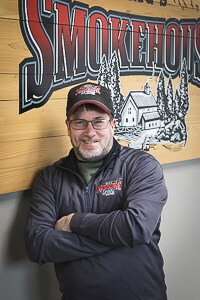 He previously worked as a meat cutter and now serves as the Smokehouse facility manager. 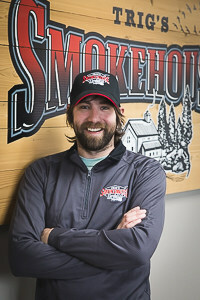 From creating new items to making current ones, the Smokehouse is one of his biggest passions. Jamie is proud to have been part of the team that was awarded the 2018 Best of Show trophy from the Wisconsin Association of Meat Processors for Smokehouse's fresh bratwurst. He lives in Argonne, WI with his wife and four kids. In his free time he enjoys spending time with his family, hunting and fishing. Chris is a master of meat… literally. He recently graduated from the Master Meat Crafter program at UW Madison. He started with the company in 2008 working in the produce and frozen/dairy section at the Rhinelander store. In his free time Chris can be found spending time with his family, fishing, hunting and bow hunting. He lives in Rhinelander, WI with his wife, three kids and two dogs. 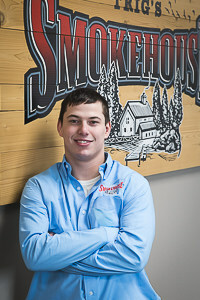 From processing to packaging to the warehouse, Dalton has first-hand knowledge of the Smokehouse products he's selling. He's been with the company since 2014 and has worked in every department since. Dalton was promoted to his current position in 2018. He lives in Sugar Camp, WI and some of his hobbies include fishing, softball or flag football, coaching wrestling and just being outside enjoying the weather. Jackie has been with Smokehouse since 2018 and strives to provide the best customer service experience possible. She lives in Rhinelander, WI with her husband and three daughters. Jackie enjoys spending time with her family at their cabin, relaxing on the beach and playing pool.